What did you get out of that book? “You didn’t get anything?” I asked. Have you had a similar conversation? Which side of the exchange were you on? 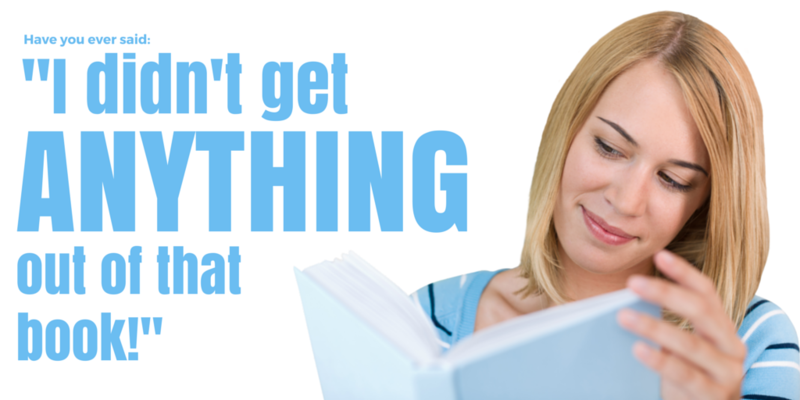 Often, people have told me they’ve gotten nothing out of a book I recommended. In fact, it has happened so many times that for years, I was reluctant to recommend a book to anyone. I should explain that. My friends and acquaintances know that I read a lot of books. My annual goal is to finish 100 books. For that reason, I am often asked to recommend a “good” book. That is where the problem begins. Do you know many people who can agree on “their” definition of a “good” book? I certainly don’t. When you start reading a book, what are your expectations? Are they realistic? Do you expect a lot or a little? Before reading a book, I have learned to first decide why I am reading it. Am I reading it to acquire knowledge, to expand my imagination, to stimulate my spiritual growth, or just for fun? Next, I remind myself that I won’t learn more than I expect to find, and if I only find one fact, one application, one stimulating question, or one pleasant memory, that will be enough to satisfy me. Then, after reading a few pages, or a lot of pages, if I am not pleased, I don’t waste any more time with that book. I don’t feel obligated to finish a book just because I started it. As a result of this three-step procedure, I am never disappointed when I finish a book. Many of the most important things that I have learned in life came from what some would call “bad” books. I don’t mean vulgar or evil books; I mean poorly written or shallow message books. We have all been disappointed when we begin a book knowing that the author has a good message, and then realize he/she should have hired a competent ghostwriter. Sometimes, a poorly written book is worth struggling through because it does have an important message. There is no way I could count the number of books that provided only one message I could use, and it turned out to be very important to me. Also, I found that the importance and value of the message for me was not dependent on the social status, education or vocation of the author. Some of the most useful wisdom came from well-known people, but most of it came from easily forgotten folks. Also think about those bits of wisdom that are automatically filed away in our memory bank as we read and not recalled for years. Then one day when needed it just pops out like a new flower after rain in the spring. Which book did that come from? Usually, I don’t remember. Too often we open a book with a great expectation, or maybe just a faint hope, that this will be the perfect book at the perfect time for whatever is weighing most heavily on our mind. On rare occasions, I have read a book that provided solutions, answers or critical information that I needed at that particular time. As I have grown older, I have learned to avoid a lot of disappointment by not expecting it to happen very often.